Install of new Quick Mount PV QRail rooftop racking system. As the story goes, solar system costs came down, which drove up demand. But this story is a bit too simplistic because the price drop and demand rise allowed the solar market to mature. In those years where module, mounting and inverter manufacturers drove down costs, quality increased, better sales and marketing concepts emerged and overall project economics and design strategy became better understood. As a result, there are more ways for savvy solar installers to build their brands based on quality, strength and value than ever before. 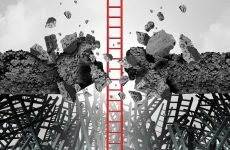 In this article we want to explore the value of these services — both intangible and tangible — from manufacturer-driven certification programs to third-party bidding sites to new financial vehicles that can empower regional solar installation companies to grow their own businesses and evolve the solar industry right along with them. 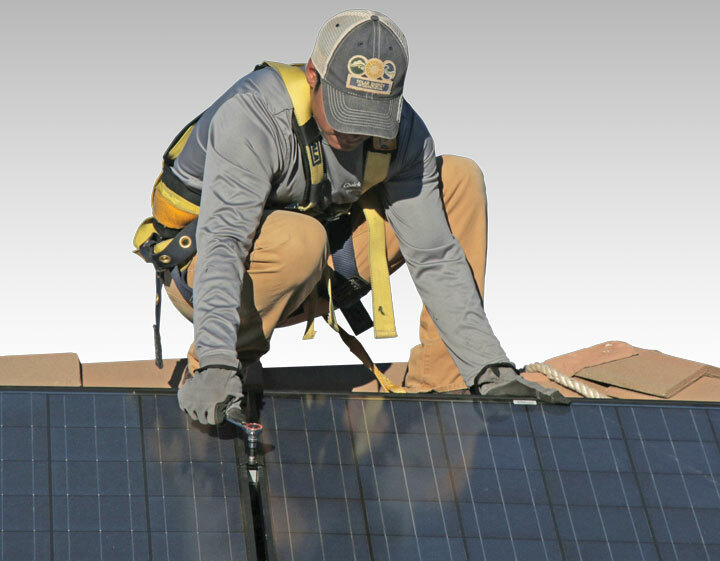 Manufacturer installer programs can be a win-win for both sides — a symbiotic relationship — in which solar installers deliver quality systems and strengthen their place in their markets, and manufacturers ensure their products and brand names are installed far and wide and synonymous with the best installers in the business. Since its start in 2008, Sunrise Solar Solutions, a moderately sized solar integrator in upstate New York, has built its brand over the years by only installing quality systems and not making decisions to chase price. Its current point of differentiation is being a SunPower dealer. “In a competitive market, price can be a differentiator, but if that’s your only differentiator, then you will start to see your competitive advantage fall apart, either through a lower service level or price erosion,” says Rand Manasse, COO with Sunrise Solar. Along with a proven product, SunPower provides comprehensive training workshops and courses that cover all aspects of the solar business, from sales and installation to design and marketing. Manasse has found the SunPower sales training to be most valuable, which is split up into two different courses for residential and C&I. RevoluSun, a solar company based in Massachusetts, is both a SunPower dealer and a certified Panasonic Premium installer for similar reasons, and president Doug Pierce is a big fan of the services built into the Panasonic certification program. The intangible marketing benefits can be just as powerful. 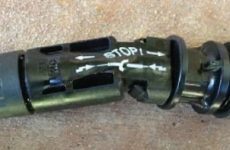 A certification from a brand like Panasonic can be its own sales tool — a stamp from a well known outside source that vouches for your work and also stands behind the system that’s been installed. Usually, that stamp of approval comes with additional quality assurances for the customer as well, such as a better warranty, which is a huge win for the installer and its customers. 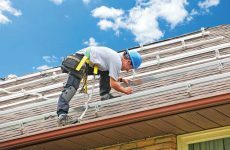 For example, roofing manufacturer CertainTeed recently expanded its solar installer program by creating a second, higher tier — the Master Solar Installer. In addition to upping lead generation, marketing support and other benefits of the program, Master Installers are covered by a 25-year workmanship warranty on the installation of the system. All of the manufacturer programs featured in this article carry robust warranty coverages on their products. If there’s a product defect, that truck roll and labor cost is often covered. What makes this possible is the criteria of these certification programs. Every program is different, but certified installers need to show a track record in the business, have up-to-date insurances and often must maintain a high standard to keep their status. Manufacturer programs usually include leads as a value proposition too — those that come in through their website or sales channels and are funneled through their partners — but any leads that do come in this way are usually seen as a bonus and not a real driver of growth. “We don’t rely on anyone to support us on leads and marketing. Leads are hard to come by, period,” Manasse says. So, don’t make leads a top reason to join a manufacturer installer program, but this should be a top reason to join an online sales network or third-party bidding platform. This feature originally appeared in our March/April magazine. Subscribe for free here. Despite falling system costs overall, customer acquisition costs have actually risen over the past several years, increasing from $0.41/watt in 2013 to $0.52/watt in 2016, according to GTM Research, which is due in part to previously winning sales strategies like lead purchasing and canvassing becoming less efficient. But GTM Research expects customer acquisition costs to decline back to $0.40/watt by 2022 by means of further market maturity, proliferation of the long tail of installers and changes in lead generation strategies. Key to this are more sales converted online. According to GTM’s U.S. Residential Solar PV Customer Acquisition 2017 report, third-party bidding platforms are expected to grow in popularity as consumers become more comfortable shopping for solar online. EnergySage, for example, is the most heavily trafficked website in the solar industry, attracting a wide variety of in-market, motivated customers who are more likely to convert because they’re already in the midst of researching and shopping for solar. EnergySage reports that the average close time through its site is only two to three months, compared to the industry average of eight to nine months. “Based on our research, we’ve found that installers can increase sales while reducing customer acquisition costs by 50 percent or more on our platform,” says Vikram Aggarawal, CEO of EnergySage. There is a measure of quality control on the EnergySage site as well, with listed installers needing to show at least three years of experience, licensure and insurance, NABCEP certification and a high level of customer service. But this strategy isn’t for every business because of its emphasis on immediate quotes and price, so you will have to weigh the pros and cons of casting that wider net for sales and how you will internally approach those leads. Strengthening your online presence, whether you join a third-party network or not, is a powerful tool. A nice value-add in CertainTeed’s Master Installer program, for example, is a search engine optimization consultation for your website to help make sure as many potential online customers as possible can find and navigate your website. The residential solar market has shifted as homeowners now see the value of owning their PV system versus turning to third-party owned leases (down to about 37 percent of the market in 2017, from 53 percent in 2016, according to GTM Research). This is likely a trend here to stay. Continue to page two for a rundown of new financing options and streamlined sales processes.